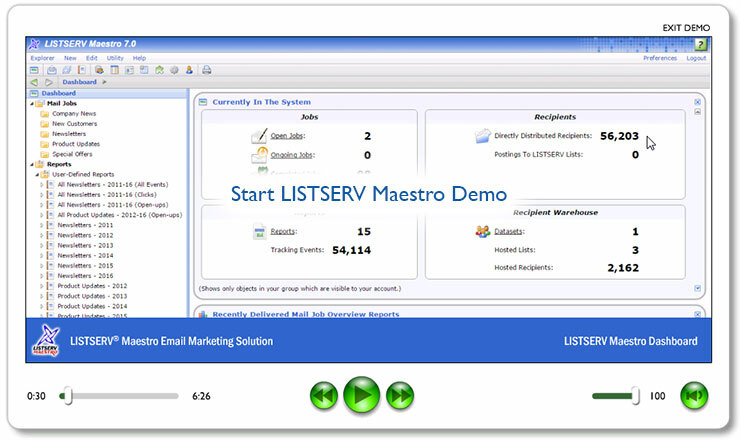 LISTSERV Maestro, which is the software that runs the ListPlex Maestro service, provides the versatility, scalability and performance you need to deliver and track highly targeted opt-in email marketing campaigns and email newsletters. The workflow-oriented interface, in-depth reporting and unparalleled job management features make ListPlex Maestro the premier hosting service for any serious email marketer. Find out how ListPlex Maestro can help engage your target audience, boost your conversion rates and increase your sales.